Recent changes to the OSHA requirements for aerial lifts have pushed equipment manufacturers to rethink their machines. The new lifts for 2017 and 2018 have come with great new features that improve the usability of the lift while also providing exceptional, OSHA-compliant safety features. 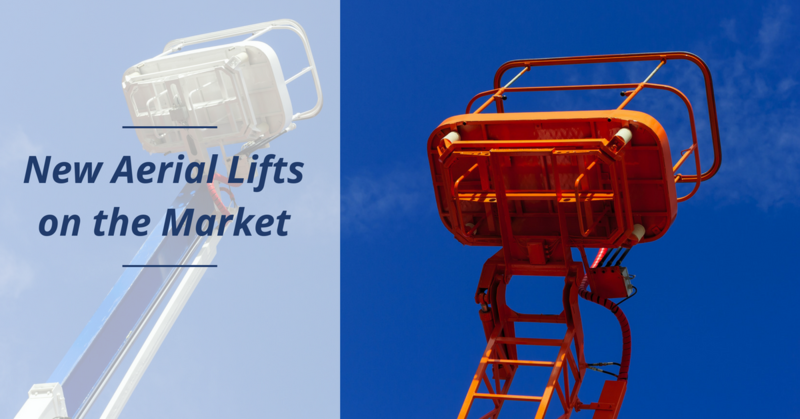 Here are some of the great new aerial lifts that have hit the market or will hit the market in the coming year. Recent revisions to ANSI standards have made aerial lift providers reassess the safety features of their products. Many of the new lifts on the market have features that reflect these changes. Fall protection is the most significant place where ANSI standards have recently changed. New lifts on the market are better equipped with fall protection features that keep workers safe on the lift. These features may include: deeper buckets, more harness connection points, stronger and more substantial railings, and shock-absorbing lanyards. While these features may not represent a significant change in look or performance for 2017 and 2018 aerial lifts, they do provide assurance that your workers have the tools they need to work safely. Manitou has long been a competitor in the construction equipment market. In 2017, Manitou unveiled a new line of rotating telescopic handlers. These new lifts are designed to significantly improve the demands for load and lift capacity for aerial lifts used on construction sites. Manitou has also introduced three new mobile elevating work platform models to the Canadian market. While these are not yet available in the American market, these work platforms will round out the Manitou line of equipment that has long been focused on material handling. United Forklift has recently unveiled its Comet X-Trailer. This compact size boom lift is perfect for fitting into small or difficult-to-reach spaces. With a vertical reach of nearly 15 feet and a load capacity of 440 pounds, this small trailer lift is perfect for any construction or arborist application. Its small size makes it easy to pull with most standard pick-up trucks and the perfect addition to any company’s equipment catalog. GMG recently unveiled a complete line of electric drive scissor and material lifts to the market. GMG has long been a competitor in the excavator and skid steer market. In 2017 they enter the aerial lift market with a full line of electric drive products that are quickly becoming competitors in an already competitive market. While many electric drive equipment is often plagued with short run times and less than smooth operations, GMG seems to have surpassed the competition with smooth and quiet running lifts, combined with an extended battery life. If you are looking for a new aerial lift, the market continues to be filled with reliable manufacturers like JLF and Manlift. All are improving their products with new safety features and better quality manufacturing. For something new, GMG and Manitou have entered the market with products that will easily compete with the market standards. No matter what type of aerial lift model or manufacturer you use in your business, your operators need proper aerial lift training to prevent accidents and be OSHA-compliant. Get easy, online aerial lift certifications in only one hour from CertifyMeOnline.net. This entry was posted in Aerial Lift Training on November 9, 2017 by admin.